Family Bridge provides an umbrella over a variety of programs focused on supporting families with young children. It started with three home visiting programs in Gregg County and Harrison County that are a part of an early childhood initiative grant. Each program is designed to meet specific age groups of children and concerns of expectant first time mothers. HIPPY (Home Instruction for Parents of Pre-school Youngsters). They provide families with education and resources to prepare children for school readiness and a lifetime of health and success. These programs are nationally recognized and proven effective in enriching the lives of parents and their children. Family Bridge will connect families who have young children and expectant mothers with education, support and resources needed to prepare children for a lifetime of health and success. In addition to the home visiting programs, Family Bridge also has a Coalition represented by members of the community and Gregg County and Harrison Profit/Non-Profit Agencies. This coalition assumes the responsibility of providing families in Gregg and Harrison County, with accurate and appropriate referral information to other services needed to improve their overall health and well-being. This program is funded by a grant awarded to the Prevention and Early Intervention Program from the U.S. Department of Family and Protective Services. Participants must be residents of Gregg County or Harrison County. 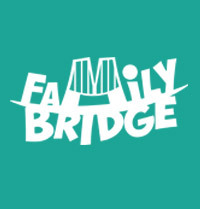 Copyright © 2019 Family Bridge. All rights reserved. Website managed by Media Quest.